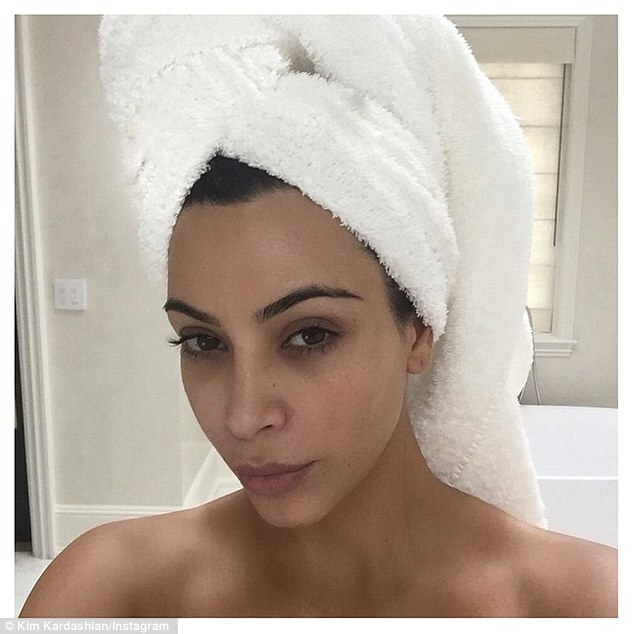 Kim K has revealed she does sleep in makeup ..While presenting Make-up Artist of the Year Award to Charlotte Tilbury at the Instyle Awards, Kim said. 'The first time I met her, she told me the funniest story about how he walked in on her in the bathroom and she didn’t have her make-up on and she slammed the door, screaming. She’s my idol!